Mitsuki loves singing, but a malignant tumour in her throat has prevented her from pursuing her passion. 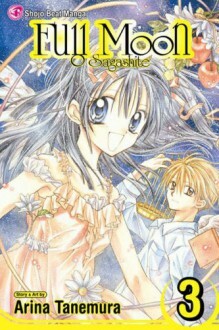 However, Mitsuki's life turns around when two fun-loving Shinigami appear to grant her a temporary reprieve from her illness - and give her singing career a magical jump-start. Mitsuki's alter ego, Fullmoon, gets a new producer - Dr. Wakaoji, who is treating Mituski's cancer! Before he got his medical degree, the doctor played keyboard in the legendary band ROUTE..L with Mitsuki's father. Will the doctor break Mitsuki's cover? And will Takuto's newly exposed memories destroy his present friendships?